Welcome to the 2nd Annual Sarah Swaine Memorial Fun Run. 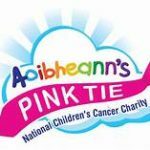 This is a 5k fun run/walk and 10k run in memory of Sarah Swaine who passed away in January 2016 at the age of 19 after battling cancer. 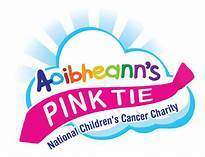 Our chosen charity is Aoibheanns Pink Tie. On the day registration is in the community centre and will open at 11am. The race will start just before the traffic lights on the main street in Kilcullen. Entry can be gained also through sponsorship cards through Carrie (860743259). Sponsorship card entries are single run 5k or 10k fill card 30euro free entry, family entry sponsorship cards 50euro gains entry. Each finisher will receive a bespoke medal which will be unveiled at a later date. Number Pickup and Registrations are available from 11.00am at the Parish Centre - Note you CAN register on the morning. Below please find a link to the Parish Centre.